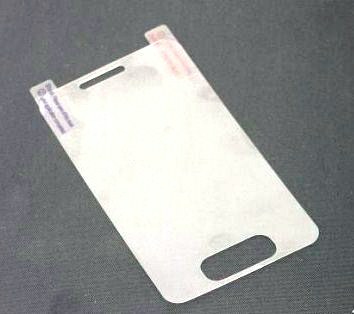 Take your first look at a screen protector that has been designed for the iPhone5, it shows off the stretched home button seen in the leaked design document. While we've seen countless claimed iPhone 5 case designs in the past, none had shown the front of the device. The elongated home button area design, however, was shown in leaked design documents. The plan documents only show areas that need to be unprotected or open to the user, so it doesn't mean the physical home button will inevitably adopt the exact shape. The hole for the front facing camera has been included in the elongated hole for the speaker as seen in this image. There's been some suspicions raised lately about what shape the iPhone 5 might actually take. Despite all these case designs emerging from China, we should remind you that all these cases have been obtained from a shared leaked design document. 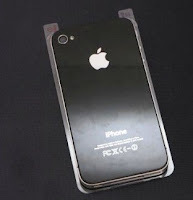 So, there's been little extra confirmation that this is an accurate image of what the iPhone 5 will look like. We've also seen no actual part leaks related to this theatrical restructure. The only part leaks we've seen come from an iPhone 4-like N94 design. Apple is widely expected to release the iPhone 5 in September/October.